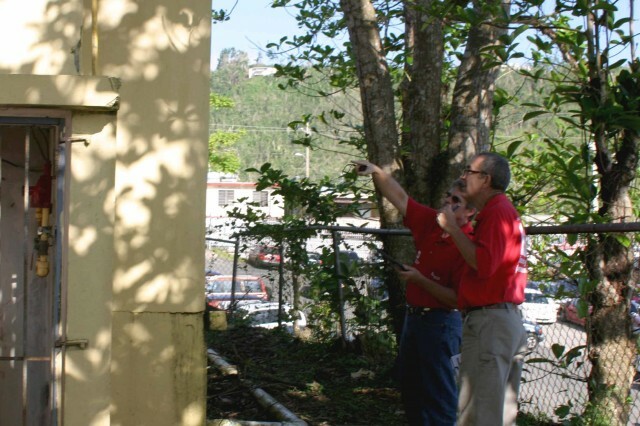 SAN JUAN, Puerto Rico -- The U.S. Army Corps of Engineers Infrastructure Assessment team inspected the last school Nov. 27. 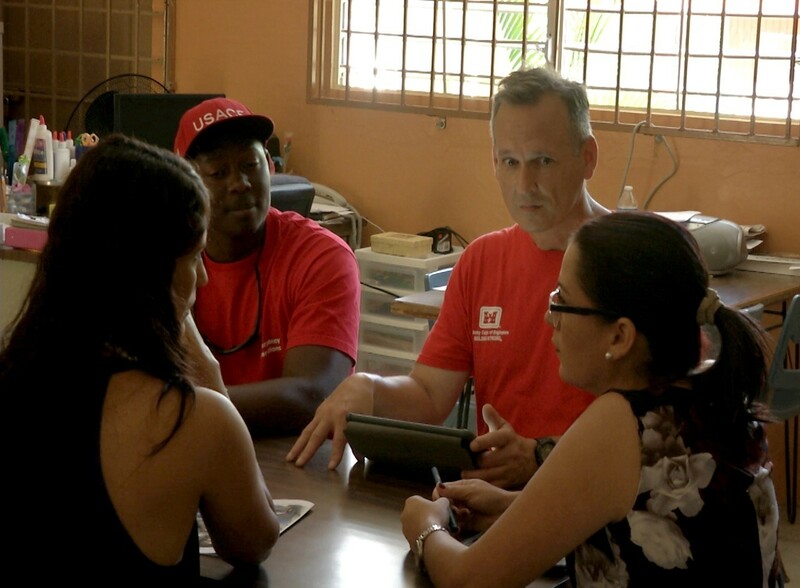 Their mission was to assist in evaluating the damage Hurricane Maria did to schools across the island. 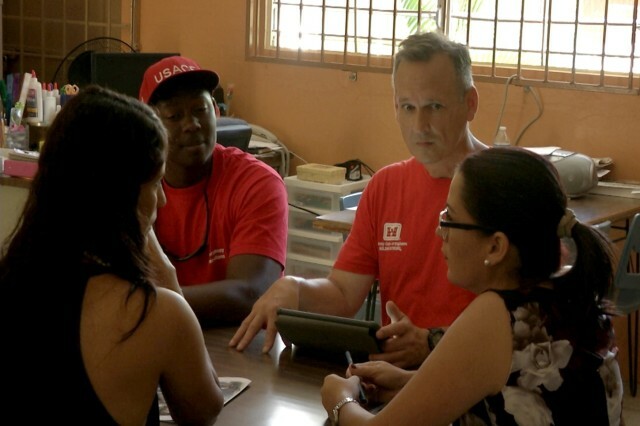 USACE and contractors working for the Government of Puerto Rico assessed 1,131 schools. 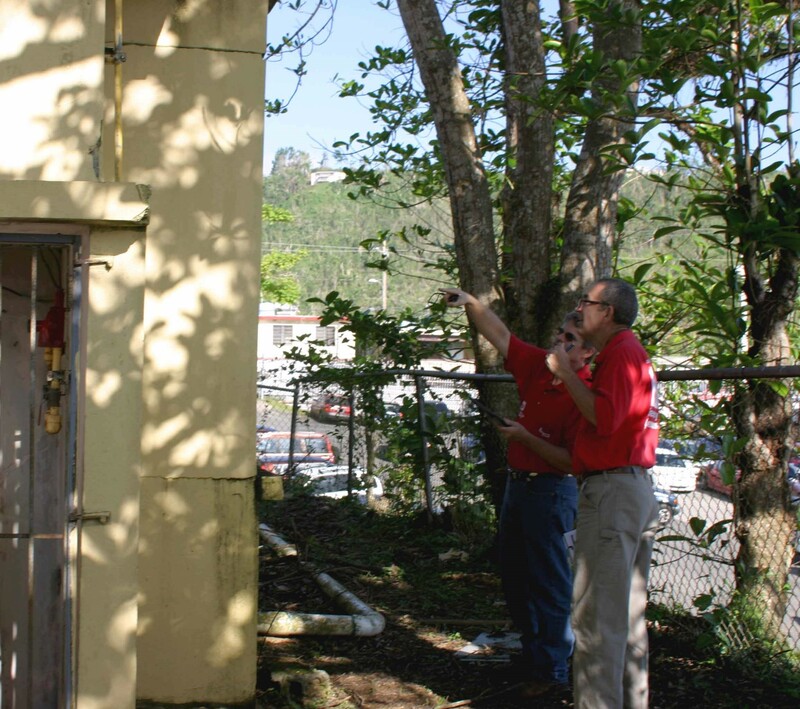 The evaluations will be used by the Puerto Rico Department of Education to decide whether to pursue temporary repairs through FEMA, have permanent repairs made, or close the school completely. "USACE only provides the technical assessment of structural damage, damage to electrical or mechanical equipment and general safety," said Brandon Works, USACE construction manager and Infrastructure Assessment mission manager. Opening the schools is one step towards restoring a sense of normalcy to the island after Hurricane Maria's devastation. Some schools with "minimal" damage have been able to reopen, marking the damaged areas off limits to students. At other schools, staff and the local community made some of the repairs themselves so that they could reopen at least portions of the school to students. One English teacher likened the effects of the hurricane to a bomb going off. "It's not normal," she said. Classes at her school resumed only a few days before the Infrastructure Assessment team visited on Nov. 22. The students "were very happy to come back," she said. "They missed their friends and the teachers. They were tired of being home." "While every mission that the Corps of Engineers is executing is important, completing school assessments it is one of the more fulfilling. These assessments are provided to the Department of Education so they can make a decision to resume classes and allow children to continue their education. The children of Puerto Rico have been through a lot and we are honored to help restore some normalcy to their lives," said Brig. Gen. Diana Holland, commander, USACE South Atlantic Division. Daily, each IA team would get a list of schools to visit and conduct a detailed assessment. Sometimes the school was closed and locked. These schools were marked and revisited at another time. Many of the open schools were only "available for assessments from 8 am to noon Monday through Friday, so the window for conducting the assessment was small," said Works. "Some schools in the mountains were difficult to get to with landslides, heavy rains and other road closures, so sometimes there were multiple attempts to get to a school." Upon reaching the school, the inspectors would speak with whoever was in charge and get a sense of the amount and type of damage. Sometimes there was no official translator, so the team improvised. At one school, one of the students interpreted for the inspectors as there was no one else there who spoke English. At the school, inspectors would seek to find out information such as "What is the condition of the fencing around the school?" and "Does the school have power? Running water? Air conditioning?" Then they examined the damaged areas. Afterward, they would enter the information and photos into the reporting software on a tablet they carried with them. The Department of Education received daily status updates on the assessments. "We were well received at each school and the staff was very helpful during our assessments. It was rewarding to be involved with the Puerto Rico Department of Education to reopen schools," Works said.